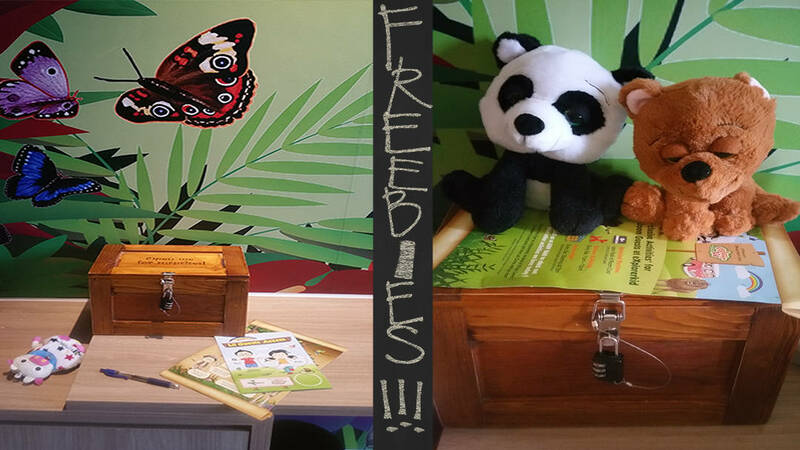 On the table, there is also a treasure chest for the little children. The children had to search and count the number of animals as stated on the hints to unlock the treasure chest. 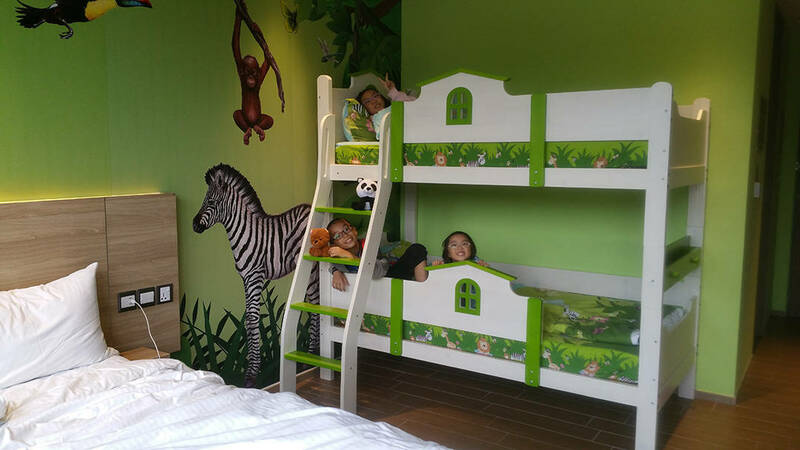 You can imagine them going around the resort room to search and count the animals. When the treasure chest opened, they found 2 toothbrush sets and 2 soft toys. The children very fast came to terms on who will be taking which items. 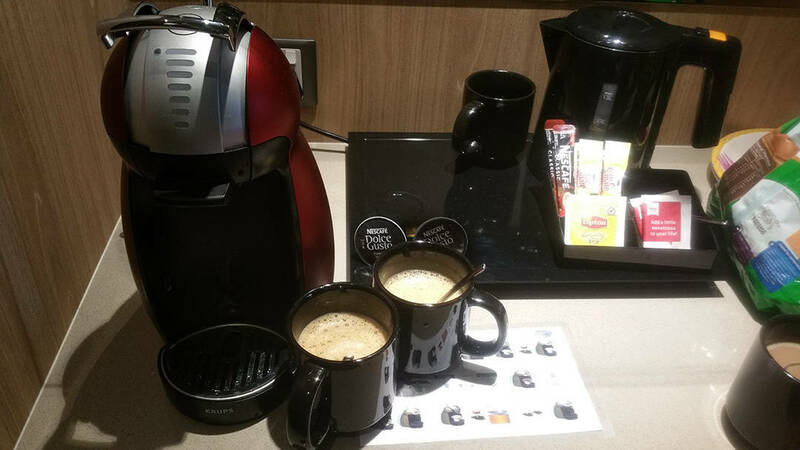 The room also had complimentary coffee and tea for the guests. You can enjoy a cup of coffee using Nestle Dolce Gusto coffee machine. From our window, we can see a good clear view outside. 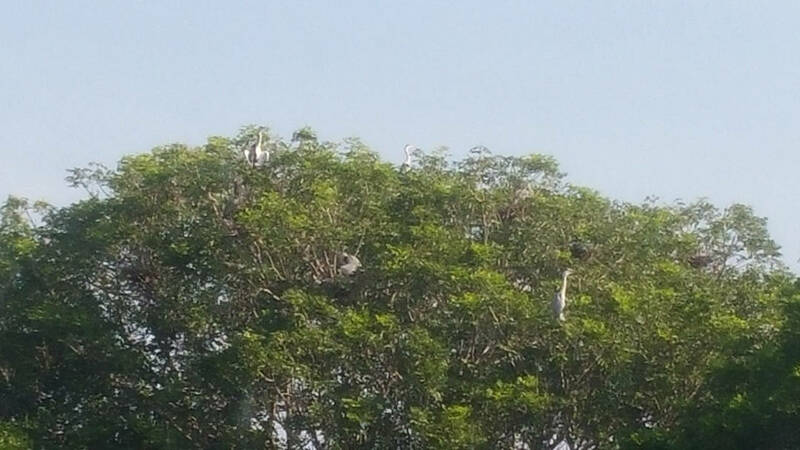 In the morning or evening, we can see birds flying outside. It is a very relaxing vacation. 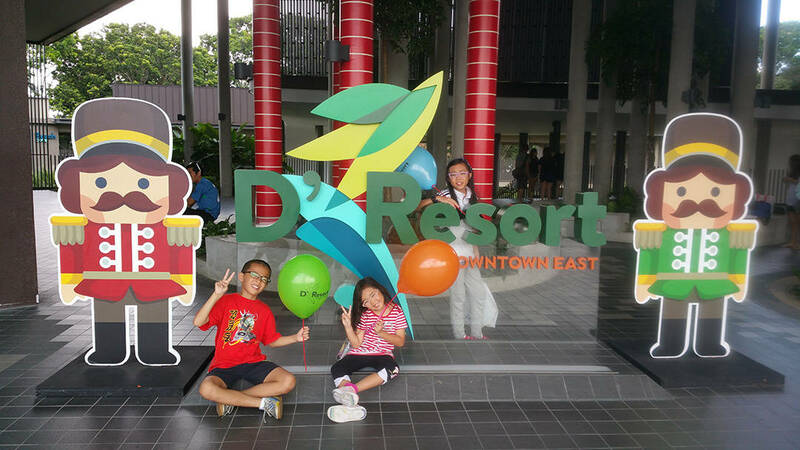 There were some children's activities at the resort and at Downtown East as well. The big sisters and brothers at the games section were friendly and made sure every children got to take back some souvenirs too. The 3 children also won some small prizes too. 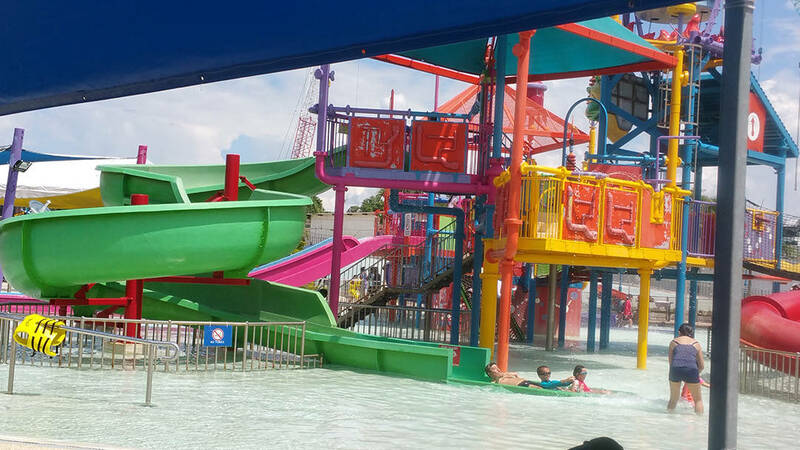 During our stay at the D'Resort, we were also given 4 complimentary tickets to the Wild Wild Wet throughout the stay. Meaning, we can enter the Wild Wild Wet on all 3 days of our stay. We didn't go on all days but we did spend 1 whole morning there. 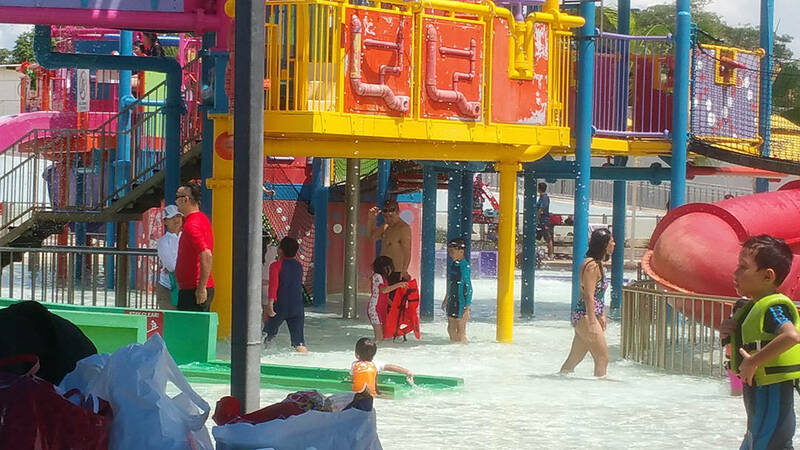 The weather was hot and the cool water games sure was welcoming and enjoying. 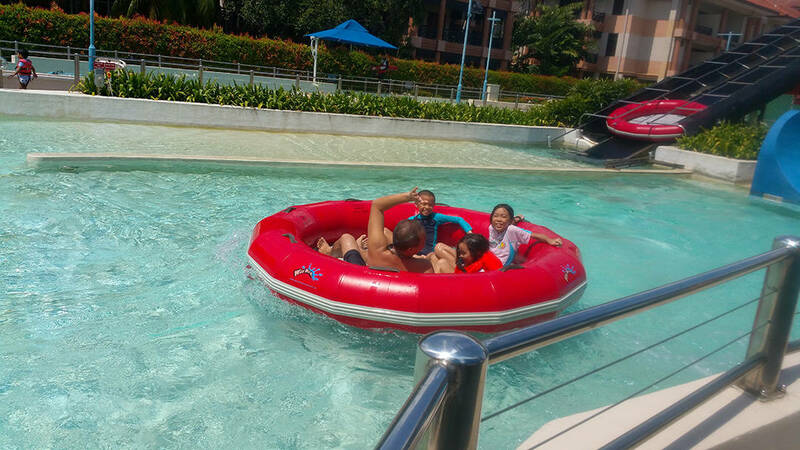 They got on the tubes and went with the flow of the Shiok River which surround the perimeter of the whole Wild Wild Wet. 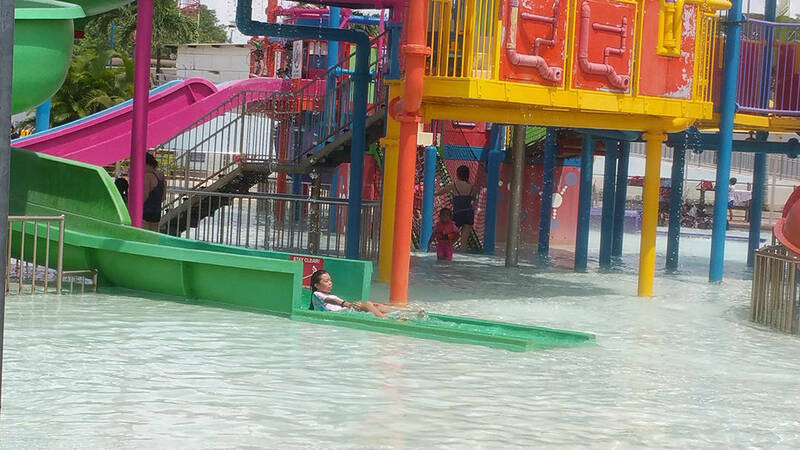 They also tried the Ular-Lah, where they sat in the raft and slide down the big blue slides. 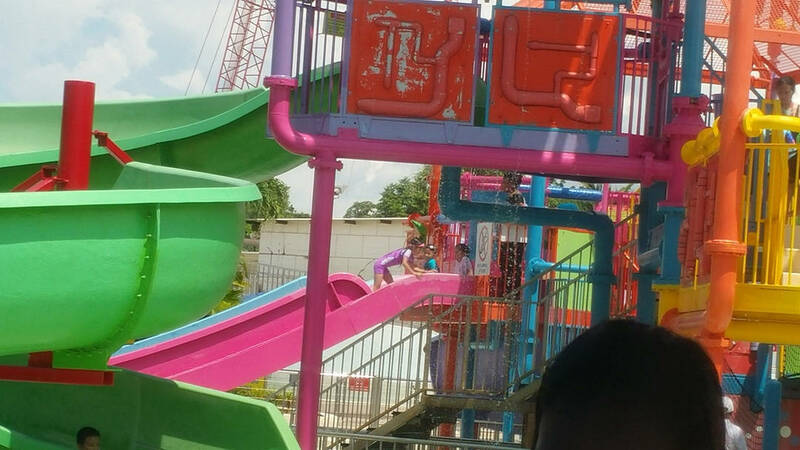 They were shouting happily when they slid down. 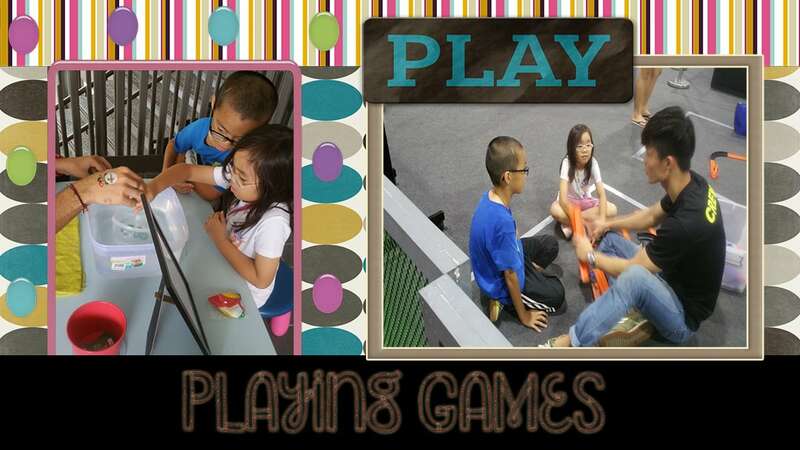 They couldn't get enough of the slides of the professor's playground. Going around again of the river and lazing on the tubes that just nice for the 3 kids. 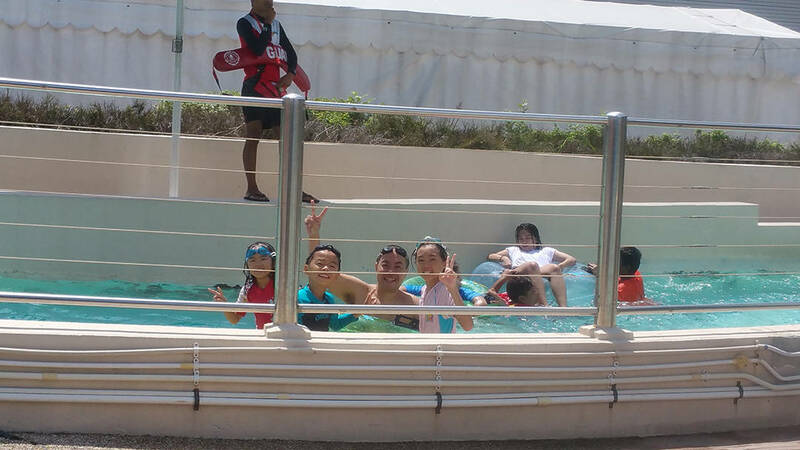 Sure looked fun and relaxing just lazing in the water under the hot morning sun. After our lunch, we got on the free buggy ride back to D'Resort from Downtown East. 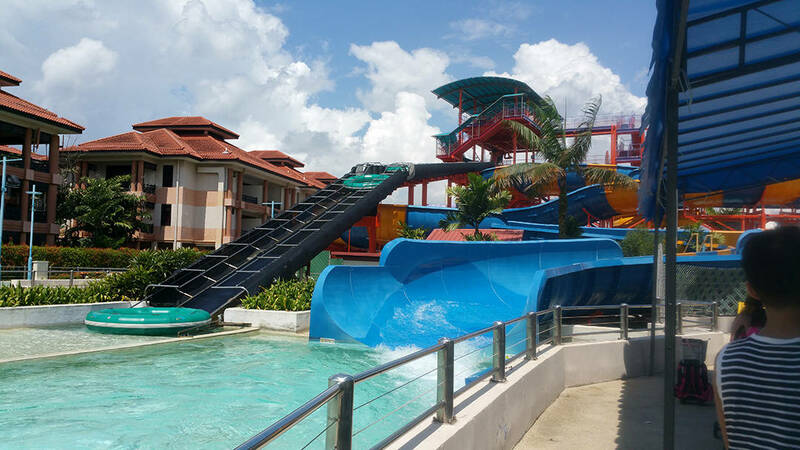 Although it's within walking distance, it's still tiring to walk back especially after the energy spent at Wild Wild Wet. Here's a short clip while on the way back to D'Resort. By the end of the staycation, the children were relunctant to go back home. 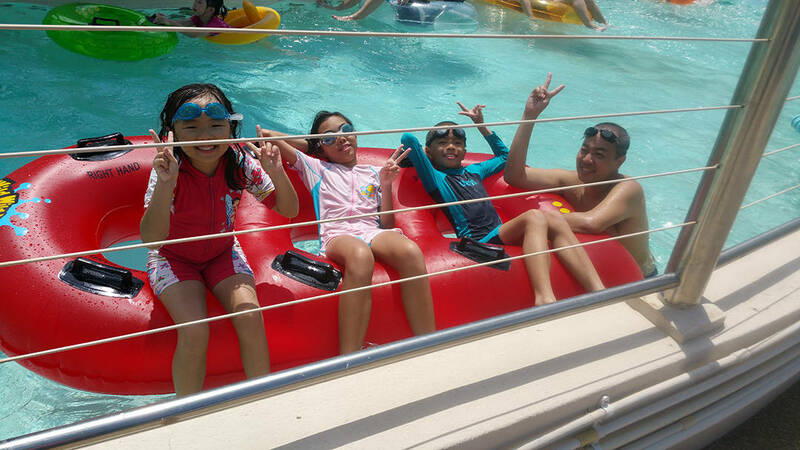 They had an enjoyable holiday at D'Resort, where they got to sleep in bunk beds, received gifts and of course played the rides at Wild Wild Wet!